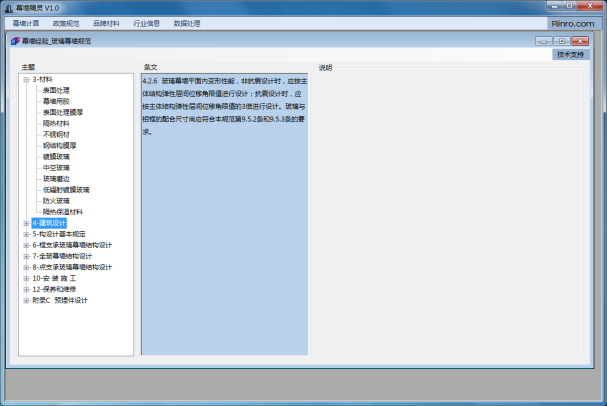 Since the establishment of Rinro, Rinro has refined the curtain wall industry experience and developed the curtain wall industry sharing software: Curtain Wall Wizard. 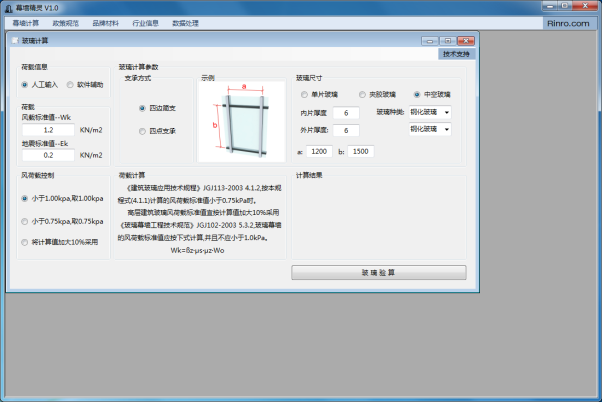 Curtain Wall Wizard provides the following four modules: load calculation, policy specification, brand materials, and industry information. 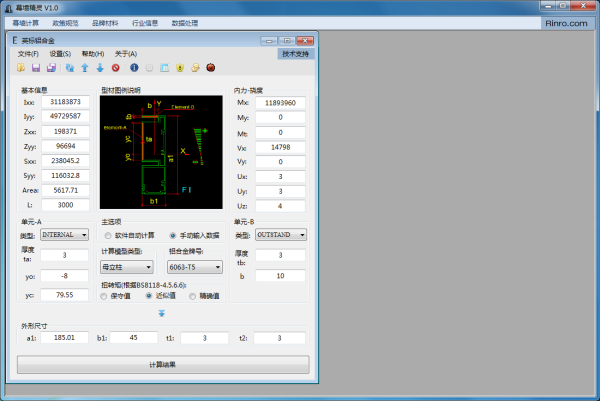 The curtain wall calculation module includes load calculation, glass calculation, metal stone plate calculation, column calculation, British standard calculation and physical performance calculation of small modules. 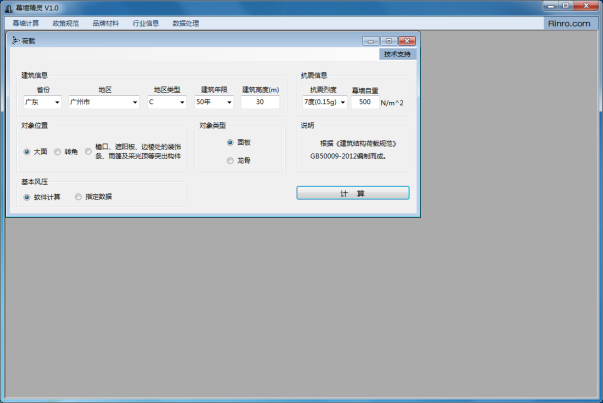 - The column calculation module mainly provides calculation and verification functions for the vertical keel of the curtain wall. 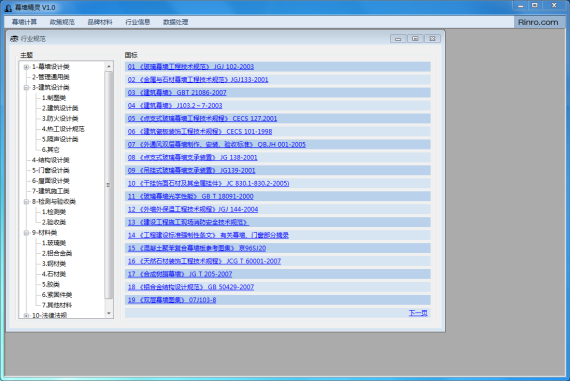 It can quickly obtain the calculation results of various column systems. - The Industry Policy module mainly shows the policies of building curtain walls and relevant documents required by cities in countries and regions to facilitate the users to learn and use policies quickly. 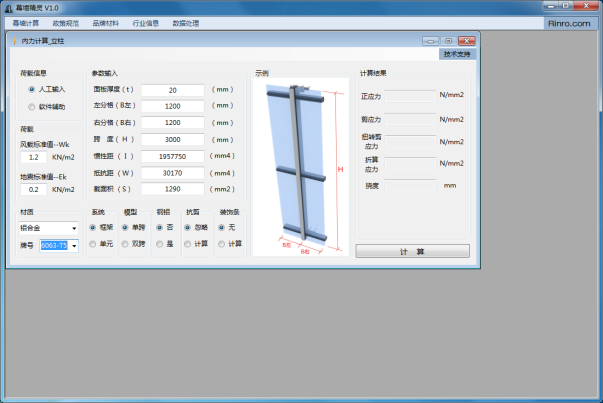 - The steel specification module mainly displays the conventional steel models of the building curtain wall industry and some standard sizes of conventional curtain wall materials, making it easy for users to inquire about information, design and procurement. 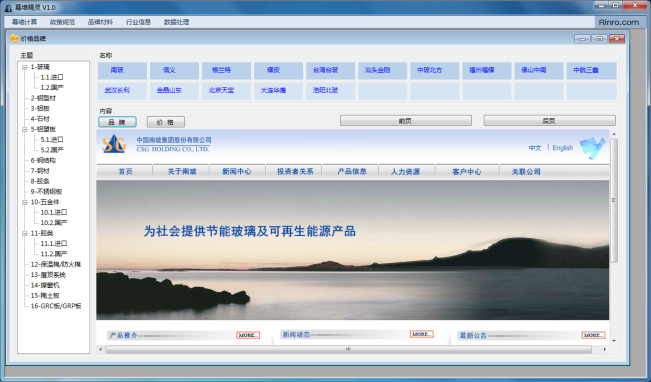 - The brand price module mainly displays the well-known brands and market-level prices of the building curtain wall industry materials, which is convenient for industry personnel to inquire. There are two small modules in the big module of brand material, which are steel specifications and brand prices. 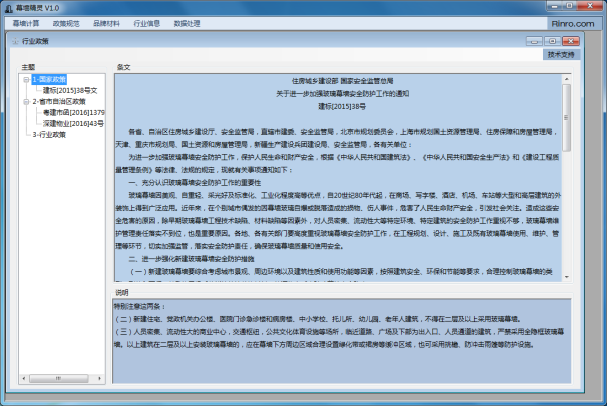 The industry information major module mainly provides the downloading of the specification of the curtain wall and the download of commonly used software. 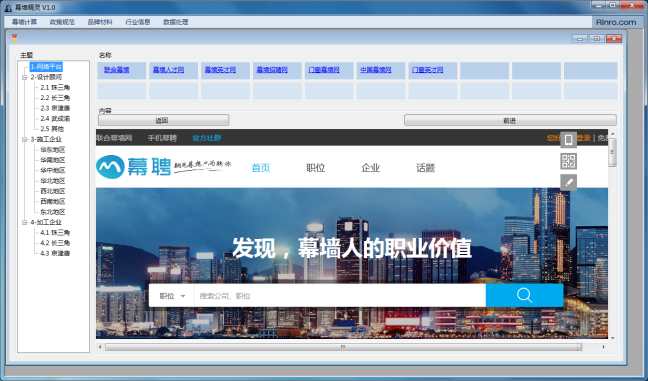 It can also provide information on recruitment and job search, as well as inquiries for relevant corporate and personal credit status for industry personnel. - The industry specification module mainly provides standard country and regional standard download services for the building curtain wall industry. - The Industry Opportunity Module mainly provides job search and major construction companies for the main building curtain wall and design recruitment information for consultant companies.